Succession planning is the systematic assessment and identification of individuals to fill key leadership positions that may or will open up sometime in the future. It’s otherwise known as “what do we do if so and so gets hit by a bus or wins the lottery”. I’ve listened to speakers and authors say that it’s imperative that every organization do succession planning. But should they? I can think of at least 10 reasons why you should not, starting with…..
1. You have a high performing organization with a deep bench of talent. While I’ve actually never talked to a CEO or HR VP that was fortunate to be in this position, but in theory, it’s possible, right? I hope there aren’t too many of these, or I’ll be out of a job. 2. It’s not on your top ten list of business of business priorities or top five list of HR priorities. Succession planning (and development) takes a lot of effort and commitment in order to generate a worthwhile ROI. A half-assed, watered down check-off-the-boxes effort will actually do more harm than just not doing anything at all. Organizations can only focus on a handful of critical priorities at any one time. That’s why CEOs and HR VPs get paid the big bucks, to figure out what the right priorities are for any given business strategy and timeframe. 3. The CEO is not committed and does not own it. Sort of an off-shoot of #2, however, the difference is, succession planning is on the list but the CEO doesn’t really buy into it. You’ll get the usual lip service (“people are our most important asset”), but when the rubber hits the road, it’ll be a lot of smoke and mirrors with little substance. 4. You don’t plan on doing anything. Oh sure, things get done – there are endless hours of filling out forms and talent review meetings – but at the end of the day, the thick books are put on a shelf to gather dust until they need to be updated one year later. In order for succession planning to be effective, action needs to be taken to fill any gaps, remove obstacles, and get people ready for larger responsibilities. 5. You don’t know how to do it. Sure, everyone has to learn something that they’ve never done before. However, if you’ve never done it, hire someone who knows how to (and has done it a few times). If you don’t, and make a lot of mistakes in the early stages, it takes years to undo the damage and get people back on board. Either hire someone with real talent management expertise or hire a good consultant to get you started. 6. You’re a small start-up in a rapid growth mode. I suppose you could make an academic argument that this kind of organization needs succession planning as much as a large, mature organization. However, the reality is, if you’ve ever worked in one of these businesses, “long-term” usually means next quarter. A savvy CEO or HR pro knows when to leave these businesses alone, and inoculate them from some of the business processes that they just can’t possible pay attention to at this point in their growth. There will come a time, it’s just not this year or next. 7. You’re told to do it because everybody else does it so we should to. I’ve actually heard this reason for doing succession planning mentioned more than any other. It’s follow the leader. I realize there’s a time to follow orders and just do it, but in this case, some brave soul needs to put their hand up and ask “but why”? 8. You want to impress your Board of Directors or CEO. This is all about “looking good”, vs. “being good”. It usually involves thick, glossy, color notebooks, or fancy software systems with all the bells and whistles. 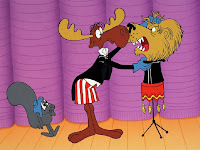 “Hey Rocky, watch me pull a rabbit out of my hat! Oops, wrong hat”. 9. It’s really just affirmative action in disguise. Sometimes an organization needs to build diversity into its senior ranks. Cool, I get that. However, this succession planning sub-goal shouldn’t dwarf the entire process. Talent identification and selection for key development programs begins to look like a quota filling exercise and it loses credibility. 10. Succession planning was included in your new HR software package and you want to get the most bang for your buck. Seriously, I’m not making this up. I actually heard it at a talent management conference over lunch. Something about “leveraging our full suite of talent management infrastructure, yada, yada”. Well heck, if you paid for it, you might as well use it, right? How about you? Can you think of any other reasons why NOT to do succession planning? I spent the first half of your article fuming before I realized that you were being ironic - my bad! Succession planning is critical, especially in high growth organizations but of course, it should be done for the right reasons and in the right way. Glad you hung in there! Dan, I like how you've blended principles with pragmaticism here. Succession planning is an important TM process, but there are times when it will just be wasted effort, or worse, do damage. Another time to push back: if your succession planning process, tools, and assessments were simply "dragged" over from another company and "dropped" into yours. The process needs to be considered thoughfully, and customized to your organization's needs, culture, priorities, and leadership practices. Thanks, great point! That happens with a lot of HR and business processes, doesn't it? Great post, Dan! 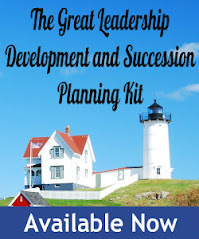 So many misunderstandings in the area of succession planning. And I think it's a hot topic with the recent passing of Steve Jobs and his approach to the leadership challenge. Short video here, major exaggeration of course... Succession planning fail. With regard to #7, isn't that the reason companies do all sorts of stupid stuff. We call it benchmarking. Multi-Tasking: Is It Worth It?